I was really just wanted to test different methods of painting. I would say they worked. I need to work on the hair, since I did not (actually) experiment with shading. 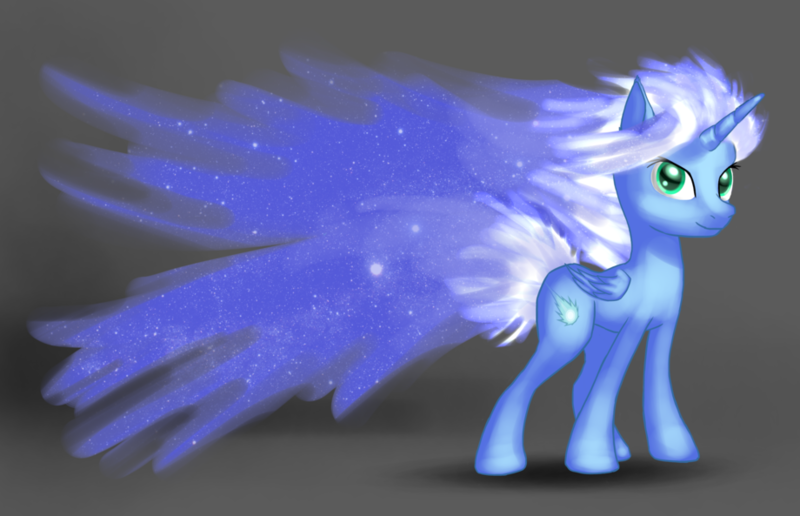 I named her Comet trail (as you can see by the title) she is an alicorn from a time... lets call it B.H. (Before Harmony) That is all there is to say at the moment. She's pretty, I love her mane and tail enchantments! I can tell you it was a pain to figure out. |:( Thanks for that.